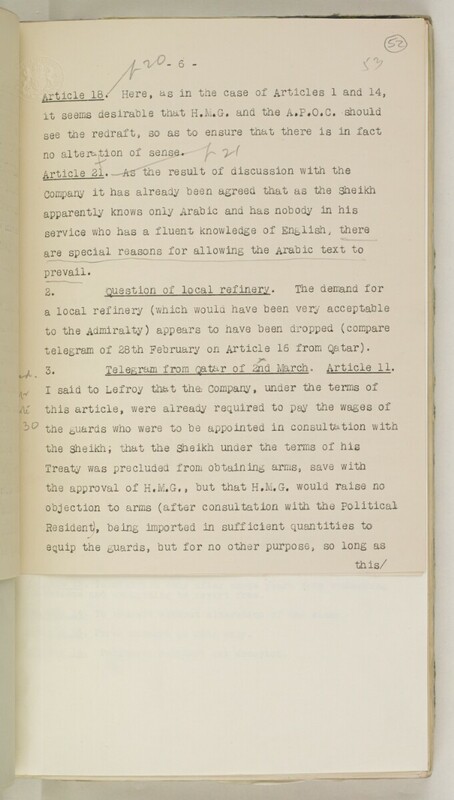 telegram of 28th February on Article 16 from Qatar).
. 3. Telegram from Qatar of 2nd March . Article 11 .